Where are you going little girl? …deadly black eyes! The monster is coming near! Yes. She is getting these reactions a lot. 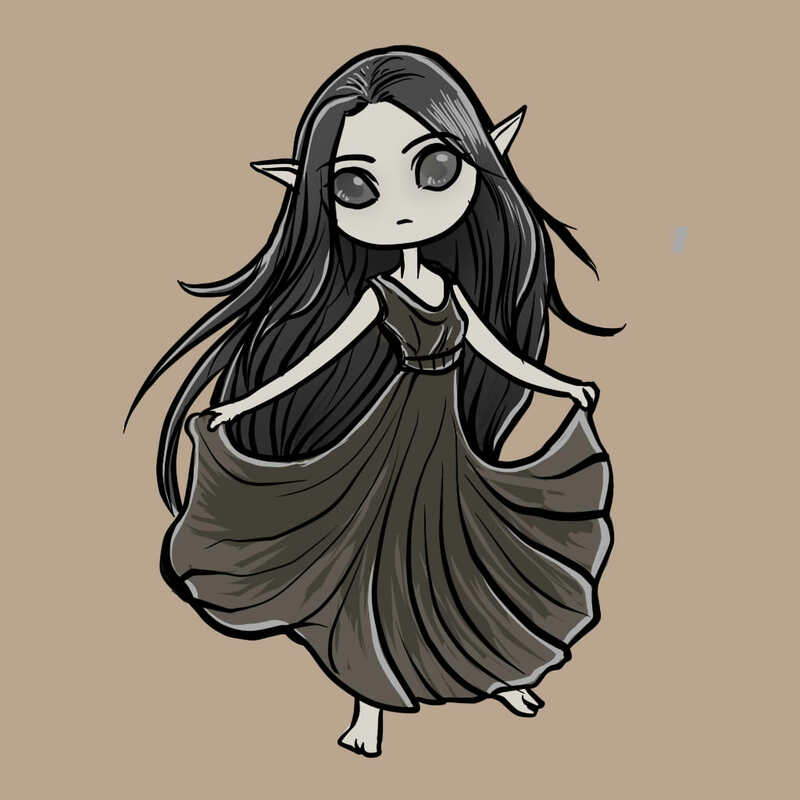 Harmless elven girl who can go anywhere through the darkness.